Want to add a new bathroom? Last week I was invited to a potential customer’s home who was interested in adding a new bathroom. They have probably lived in their home for about 5 or 6 years now, and have a lovely place, but there was something missing. Off the main bedroom they had a nice sized room with a huge walk-in closet that had a walk through into their shared main bathroom. It was convenient, but they felt that, with everyone in the house getting older, there was kind of a traffic jam, or bottle neck, happening in the morning. Now you might be wondering if this is the only bathroom that they have, but the answer was no. They also have a nice bathroom in the basement that was ready for them to use. But, “who wants to go all the way down there?” they said. So what are their options? The homeowners were hoping to take some space from their walk-in closet and the space from a hallway linen closet, to accommodate a new closet and a new ensuite bathroom. Inside the closet was beautiful hardwood but, obviously, there is no plumbing. 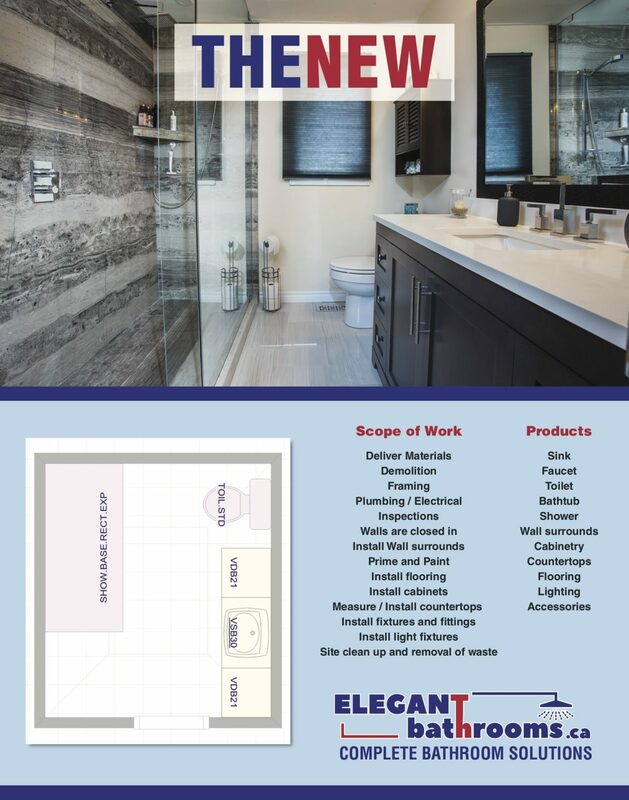 Here at Elegant Bathrooms Stoney Creek, we know bathrooms and understand the importance of closets. We would come up with a plan that would include new plumbing, electrical, and HVAC, and may also involve relocating doors and building new walls. Plans would be prepared and we would come up with a design that is both functional and practical. These types of projects can become challenging when you are working in your client’s primary residence and within their personal sanctuary. I have had customers who move out of their bedroom for the disruption, and have had other customers live through it. It is important to plan properly and make sure that all of your needs are taken care of, no matter how much space you have. Are you thinking of adding a new bathroom? Why not come and see what we can help you create? Previous Previous post: Are you really ready to start your bathroom renovation? Next Next post: Bulkhead or Soffit – Remove or Stay?